What’s the difference between a builder and GC? 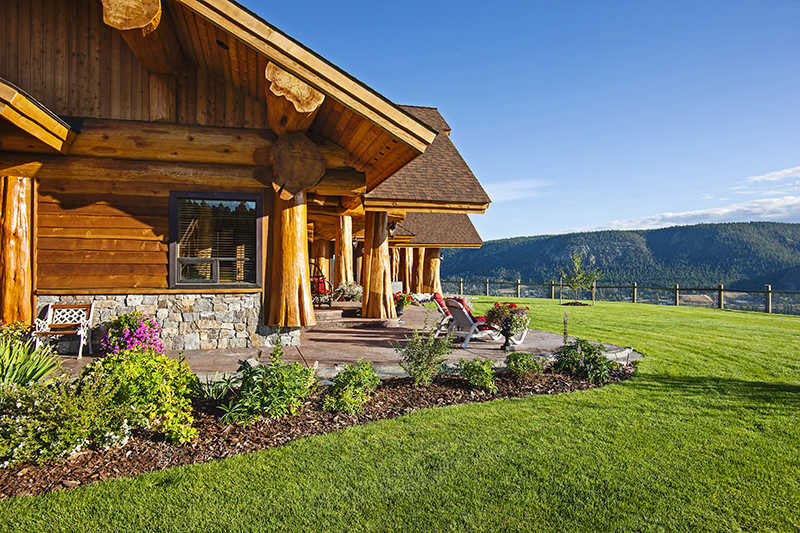 Log home builders typically handle the construction of your home. This can include setting the foundation, framing, roofing, as well as erecting the log walls. Builders often don’t handle mechanical work such as heating and cooling, electrical or plumbing. A GC orchestrates and manages the team of subcontractors. He’s the big-picture guy. Sometimes a builder acts as a general contractor; he’ll use his own crew to construct your home and subcontract the mechanical work. This certainly isn’t a problem— if he’s experienced. In rural areas, builders almost have to be GCs to maintain their business. In other areas, GCs can focus on the entire project and keep builders on task. What are the criteria for choosing a GC? A GC’s value lies in his ability to manage an entire project efficiently. This means he must have great working relationships with reliable and talented subcontractors. If you learn from the contractor’s former clients that there were long delays and a revolving door of subcontractors, keep searching! Other tips: Obtain references for at least three of the GC’s completed projects. Visit former clients and ask them about their experiences, including how easy the GC was to work with, if he was able to maintain a schedule and how the final cost compared with the contract price. What are a GC’s most important responsibilities? First, he provides a turn-key contract with the total cost for constructing your home. Your log package typically is the only item not included on the GC’s contract (your contract for the log package is between you and your provider). When preparing a contract, your GC should complete a cost estimate for the construction of your house. Second, your GC will hire all subcontractors, obtain permits, schedule construction activities, monitor construction quality and pay everyone. He’ll report to you on a timetable that you both agree upon. In most projects, contact with the GC is daily or several times a week. Does my GC deal with local permits? Yes, and this task should be a line item in his contract. Building-code requirements and the permit process create a tangle that can be time-consuming for someone not experienced in construction.